“There’s only one secret to being a successful hairdresser and I have never withheld it from anyone: ‘Your client should leave the salon feeling like a white woman.’ Not Coloured, not Indian, not Chinese.” – Sisi Vimbia. Welcome to Khumalo Hair and Beauty Treatment Salon, where Vimbia reigns supreme as the best hairdresser in Harare. However, she is dethroned with the arrival of smooth-talking and charming Dumisani, a young man, who knows his way around a comb better than the women, whose hair he styles. 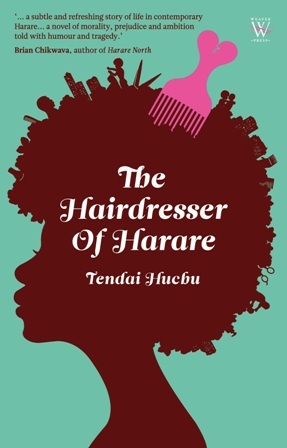 In spite of the underlying tensions that ensue, a friendship develops between both hairdressers and as fate would have it, Vimbia becomes Dumi’s landlady. It soon comes to the fore that they need each other more than they are willing to admit for they have secrets and family challenges, which makes them outcasts respectively. And in each other, they have a chance for what could be a seemingly normal life. Contrary to news reports that Zimbabwe is lifeless, Huchu paints a vibrant and gritty picture of day-to-day life. He does not shy away from the political and economic woes faced by the country, which his characters aptly tell us about, giving a voice to ordinary Zimbabweans, whose point of view we often do not hear. An unputdownable debut about family, friendship, secrets and trust, packed with humour. You will smile, shake your head and laugh so loud, your belly will ache. This entry was posted on Tuesday, September 27th, 2011 at 2:33 am	and is filed under Africa, Art and Culture, Book Reviews. You can follow any responses to this entry through the RSS 2.0 feed. You can leave a response, or trackback from your own site.